The stall of the cathedral Sainte-Cécile. The church was consecrated in 1480. 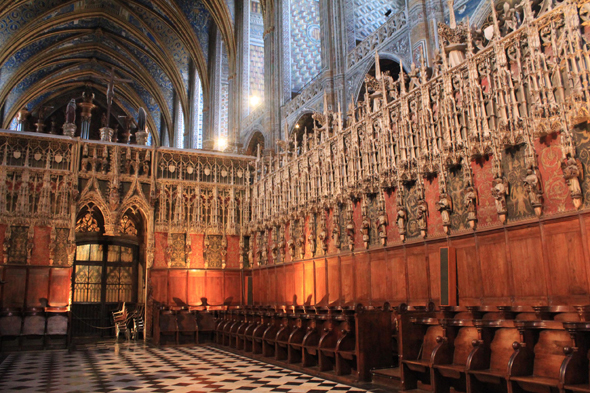 Almost immediately, Louis 1st of Amboise decides on the erection of the choir, closed by a rood screen often compared with a lace.